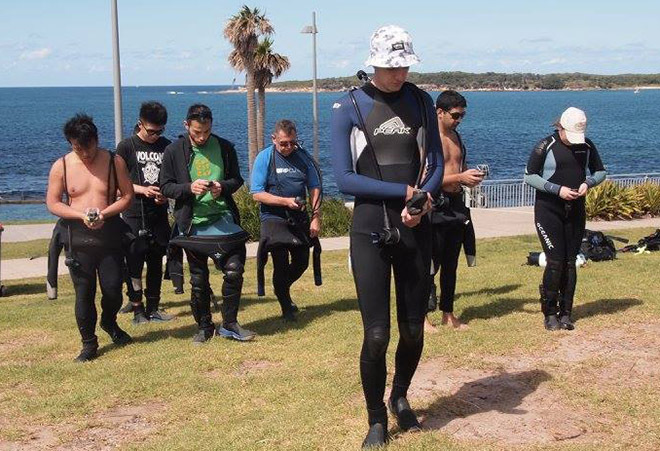 For someone who relies heavily on Google Maps to get around in day-to-day life, the concept of navigating underwater for the Advanced Open Water Course was nothing short of terrifying. 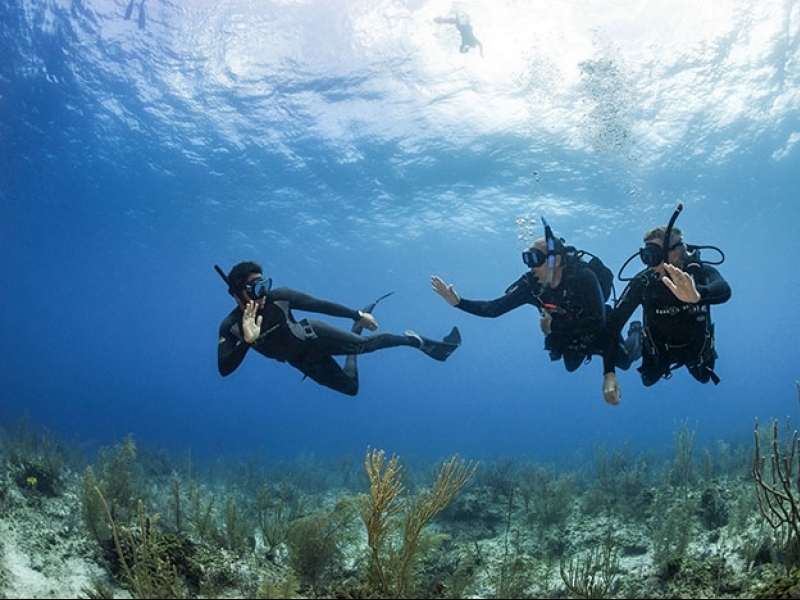 The thought of waving goodbye to the dive master and then relying on my buddy’s and my sense of direction to find our way back was nerve-wracking and, to be honest, I was kind of dreading it. But a bit of preparation and communication with my buddy meant that not only did we pass our underwater test with flying colours, we’ll be better (and safer) divers from now on. If you’ve ever been deterred from the course because of this module, read on, because all fears can be allayed. Before you begin, pay attention to the dive site briefing. 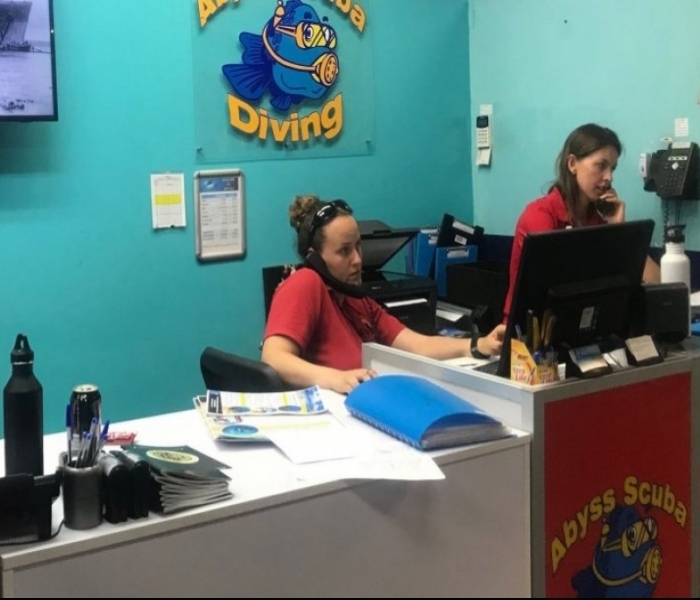 Your dive master will be able to fill you in on aspects of the site that will assist in natural navigation – things like currents, depth ranges and various routes you can take. Decide between you and your buddy who will navigate first and who will monitor depth, time and distance. During the course, you’ll each have a go at both. You’ll first swim along a 30-metre line that’s been placed by your dive master. As you do this, you’ll be counting kick cycles (a kick with each leg, i.e.. two kicks = one kick cycle). Remember this number! It’s an estimate of how many kick cycles it takes you to travel 30 metres, and you’ll need it for further activities. On the way back down the line you’ll count the seconds it takes. You’ll have been given a rundown of how to use a compass on land, and while underwater you’ll be sent off in your buddy teams to dive a pattern, such as an out-and-back line (swim 30 metres in one direction, turn around 180 degrees and swim 30 metres back) and a square or rectangle (e.g., swim 15 metres north, then 30 metres west, then 15 metres south, and finally 30 metres east to – hopefully – be back where you started!). This is where kick cycles come into play – if you forget how many kicks it takes to swim 30 metres, it’ll be pretty hard to end up where you need to be! You’ll also be required to undertake natural navigation. This is when my heart started to beat rapidly – even on land, if you spin me around I have trouble determining which direction I came from! I have pink and white fins that were a present from my brother – I’m pretty sure he got me these because he was convinced I’d get lost and it’s very hard NOT to spot me in my bright fins. But there’s actually nothing to fear if you’re prepared. Natural navigation starts on the surface, by checking out the dive site for landmarks, formations and other objects. For example, make a mental note of that bridge over to your right, and the waves breaking in the middle of the bay (indicating a sandbar or reef that you’ll encounter). Check out where the sun is at and take note of the angle, and also take a look at the direction of the current and tidal movements. Once underwater, when you actually concentrate on things that you can see, it’s surprisingly easy to get your bearings. You think to yourself, ‘Oh yeah, I remember that red clump of coral just to the right of the kelp bed’, or ‘Wait, I’m swimming parallel to the sand ripples, but I’m trying to get back to shore. I need to swim perpendicular to the lines’. It’s all about concentration and – yep, you guessed it – practise. What are your tried and tested tips for navigating underwater?